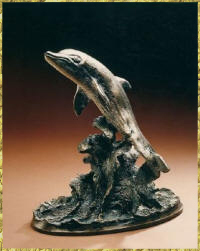 The four pieces of the Cousteau series were produced using powdered bronze and resins in a cold casting for the Cousteau Society in Monte Carlo. These were done in an edition of 1800 by the Franklin Mint. 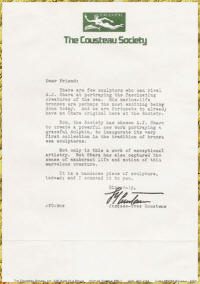 They were also produced in bronze in an edition of two, one each being presented to Jacque-Yves Cousteau with the other kept in Mr. Obara's private museum.